Bridgehampton, NY 11932 LWVH Annual Blahs Lucheon. A highlight of the winter season for Leaguers and friends sticking around the Hamptons in February, this year the annual event is Thursday February 13. Bring friends or family, knowing all are equally welcome. The cost is $26. Please make check to Bobby Van's or bring cash or check to the restaurant that day. To give the place a headcount, we request you contact LWVH at 324-4637 or e-mail "membership@lwvhamptons.org" by February 10 or before. Hampton Bays NY GENERAL MEMBERSHIP MEETING. Speaker: Susan Soto, former member Shinnecock Tribal Council, First Native American woman to be elected Commander of Veterans of Foreign Wars Hamptons Post 7009. Ms. Soto will speak of her experiences as a deployed veteran of Operation Desert Shield/Storm, more commonly known as the Gulf War. 2:30 pm Hampton Library Government/Health Committee. Seeking new members! Join us to hear the timely projects we're working on. Directions to 28 Old Farm Rd: From Montauk Highway (east of Bridgehampton), at light in Sagaponack, turn north onto Sagg Road; make first left onto Hildreth Lane; at end bear right onto Old Farm Road. House is first house on corner, with a split rail fence. Many thanks to League members Ann Sandford and Jerry Korman for graciously offering their home for this event! Southampton NY 11968 Special Events Committee Meeting. Bridgehampton NY 11932 Members Meeting: Program Planning. At the beginning of each year, the Board of Directors looks to LWVH members to help steer the focus of our activities during the year. Join us to have a voice in choosing the activities we plan and the issues we study and/or advocate. We provide lunch and ask only for your attendance and thoughtful suggestions. To give the place a headcount, we request you contact Julia Kayser at 324-1498 or e-mail her: KAYJULLEE@aol.com by February 10 or before. Bridgehampton Natural Resources Committee meeting. Bridgehampton NY Members Meeting: Meet the Town Supervisors. Both Supervisors have accepted our invitation for informal "chat" -- no press invited, no video scheduled. Hear East Hampton & Southampton Town Newly-elected East Hampton Town Supervisor Larry Cantwell and re-elected Southampton Town Supervisor Anna Throne-Holst speak about their priorities and plans for their administrations. The program provides residents with an opportunity to discuss similarities and differences between the two town governments and to learn about possibilities for consolidation/shared services to qualify for Governor Andrew Cuomo's recent initiative for a state-subsidized property tax freeze. Refreshments will precede the Town Supervisors' presentations, and a question-and-answer session will follow. Further information is available from the League at 631-324-4637, the Hampton Library at 631¬537-0015, or the League's website at http://www.lwvhamptons.org. Bridgehampton NY Voter Services Committee Studies Kick-off Meeting. Anne Marshall will lead the voting process study; Carol Mellor will head up the term limits study. At this special meeting both case studies will be reviewed. Committee members and all interested parties are welcome to attend and to be involved. Preliminary study materials on term limits are already on the state website. If anyone would prefer to receive a hard copy of the materials, please contact Carol Mellor. Remember, one need not be a League member to join in a study, although membership is required to participate in a consensus meeting. So if you have friends who might be interested in learning about these issues, please ask them to join us. Contact Carol Mellor camellor@aol.com and Anne Marshall apghnyc@aol.com. Bridgehampton NY Membership Committee Meeting:. 10 am Hampton Library Natural Resources Committee Meeting. Southampton NY 11968 How Access to Health Care is Changing on East End. Panel discussion, co-sponsored by LWVH and Library features Dr. James Tomarkin, Suffolk Cty. Commissioner of Health, Robert Chaloner, President & CEO Southampton and representatives from Hudson River Healthcare Corp., which is taking over administration of Hamptons Public Health Centers. Southampton NY 11968 Free public meeting: Health Care on the East End. 11 am Hampton Library Membership Committee Meeting. 12:30 to 2:00 pm Hampton Library Voter Services Committee Studies Meeting. Voter Services Term Limit/Ballot Access Study Committee meeting. Any member or non-member interested in either study is welcome to join us. 10:30 am - 1 pm Southampton Cultural Center, Pond Lane, Southampton. LWVH 37th Annual Meeting. LWVH Annual Meeting with guest speaker Jay Schneiderman, our County Legislator and newly-elected Assistant Presiding Officer of the Legislature. Brunch, business, awards and interesting speaker. 10:30 am All around Sag Harbor. Use all-day parking on Main St. near John Jermaine Library and Whaling Museum. Narrated Walking Tour of Sag Harbor. On Thursday, May 22, enjoy a one-mile women's history walking tour of historic Sag Harbor, led by village historical raconteurs Tony Garro and Annette Hinkle. This fundraiser planned by the Special Events Committee that brought you Sylvester Manor and Riverhead Revival. Now they're doing the same for this historic whaling village. 10:30 a.m. Meet at Sag Harbor Whaling & Historical Museum for a 90-minute walking tour, featuring the lives and historic homes of: Annie Cooper Boyd, now the site of Sag Harbor Historical Society; Mrs. Russell Sage, Sag Harbor Suffragist and famous philanthropist; Anna Westfall and her finishing school; and Betty Friedan, author of "The Feminine Mystique." 12-12:30 p.m. Tour the Sag Harbor Whaling Museum. 2:15 p.m. Hear Deputy Mayor Robby Stein speak about "Sag Harbor and Its Future" at Sag Harbor Municipal Building. Cookies will be served. Bridgehampton Board of Directors Meeting. We will welcome new board members and cover a great deal of business, so please be prompt. Southampton, NY 11968 June Member Meeting at SoMAS. Our monthly member meeting will be at Stony Brook's Southampton School of Marine & Atmospheric Sciences (SoMAS). Christopher Paparo, the Director of the newly opened facility, will lead a tour of the facility and talk about the programs offered. A Q&A will follow. Refreshments served. 7 pm Bridgehampton Library Member Meeting: Ballot Access and Term Limits Studies. Hear the results of the study group's research into these timely topics. You need to be there to be well-informed when we hold our consensus meeting in the fall on both topics. Bridgehampton Commons Special Events Committee. 1 pm Bridgehampton Library Membership Committee Meeting. 3 pm to 4 pm Bridgehampton Library Health Committee Meeting. HAMPTON BAYS Anti-Bias Task Force Community Picnic. A fun-filled community event that brings people of different backgrounds and different towns together for a wonderful Fall day. Bridgehampton NY Member Meeting: Constitutional Amendment re Redistricting. In March 2012 the Governor and the legislature agreed on a plan to reform the manner in which state legislative and congressional districts are drawn in New York State. This plan provides for an independent commission to replace the Legislative Task Force for Demographic Research and Reapportionment (LATFOR). The plan, which requires an amendment to the state constitution, will appear on the ballot in November 4, 2014 and must be passed by the voters to take effect. This presentation will describe the new redistricting process and will discuss the merits of the plan. 10 am Bridgehampton Library Natural Resources Committee Meeting. 12:30 to 2 pm Bridgehampton Library Voter Services Committee Meeting. It's going to be a busy Fall for this committee. Now is the time to join if you're interested in the democratic process of elections. 1 pm Bridgehampton Library Membership Committee Meeting. This lively committee could use a few more active volunteers. Come to this meeting and see if you're interested in being a part. All are welcome! Hallock Museum Farm A Fabulous Fundraising Event: THE NORTH FORK FLING. We begin our day at 11 am at Hallockville Museum Farm on Sound Avenue in Riverhead. This 28-acre farm preserves many historic houses. A docent will lead a tour of two of these houses, After our tour, we will have lunch (included in our ticket price) in the English+style Naugles Barn. There's a spectacular view. Then to Harbes Farm Stand for a talk by Shannon Harbes. Keep in mind this is the height of the apple season. Our day wraps up at Shinn Estate Vineyards for a tour, talk and wine tastings by Barbara Shinn. The cost for this day will be $45. 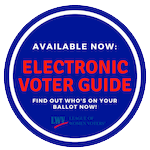 Make your check to: LWVH. Mail it to: Gladys Remler + 180 Melody Court, Eastport, NY 11941. Questions: call Gladys at 631-288-9021. 11 am to 1 pm all over our area National Voter Registration Day. If you're not yet registered to vote, here's your opportunity. Volunteers from LWVH will be at supermarkets and other public areas from Westhampton to Montauk. Look for us! Bridgehampton Board of Directors Meeting. 10 am Call Sue Wilson for location or e-mail: naturalresources@lwvhamptons.org Natural Resources Committee Meeting. 12:00 pm Cooper Hall at RML Special Events Committee. Community room tbd Voter Services reps present Propositions to residents. Take the Long Island Expressway (495) to Exit 57 (Veterans Memorial Highway). Turn north onto Veterans Memorial Highway. At the light make a right onto Motor Parkway. Continue on Motor Parkway and the hotel is on the left (north side of LIE). (on south side of highway) LWVH members Consensus Meeting. Members will discuss and then hope to achieve consensus on the questions of (1) Term limits for NY State offices and (2) Should NYS continue to have closed primaries. Facilitator will be Jacqui Lofaro. Snacks and beverages will be provided. NOTE: Meeting begins at 1:30, not our usual evening hour. Southampton NY Natural Resources Committee Meeting. Southampton NY Education Committee Meeting. NYC LWVNY League Day at the U.N.. Mark your calendar now so you can join us for a tour, lunch at the UN and an informative briefing on the global crisis caused by insufficient water supply to satisfy basic human needs and the growing demands on the world's water resources to meet human, commercial and agricultural needs. Riverhead campus Suffolk Community College LWVSC Board Meeting. 1 pm - 3 pm Bridgehampton Library Membership Committee Meeting. Bridgehampton NY 11932 LWVH Board of Directors meeting. All members are welcome to attend. Bridgehampton NY LWVH Board of Directors meeting. We invite all new members (those who joined since June 2014) to come to this board meeting and learn more about the organization and how we work. Sag Harbor NY LWVH Annual Holiday Party. Exciting Venue for our December 8 Holiday Party! On Monday, December 8, 5:30-7:30 p.m. the Hamptons League's annual holiday gathering will take place at the spacious Dodds & Eder Home store in Sag Harbor. Unmatched seating combinations, serving and kitchen facilities make it a fabulous party venue. The LWVH Board of Directors provides wine and hors d'oeuvres as a thanks for participation to members and partners, elected officials and Voter advertisers. We'd love to see everyone meet and mingle. We hope that at holiday time, you will bring a check made out to the food pantry of your choice: Human Resources of Southampton, Springs Community Food Pantry, or Sag Harbor Community Food Pantry. Please to RSVP by December 4 to our Co-Presidents Glorian Berk or Judy Samuelson, at copresident@lwvhamptons.org. Don't miss this fun event! 9 am Islip Courthouse Register New Citizens at Naturalization. Judi Roth, Marsha Kranes to go. Contact Judi to join them. 9 am Islip Courthouse Register New Citizens at Naturalization. Anne Marshall, Glorian Berk, Judy Samuelson to go. Contact Judy to join them. Bridgehampton NY Health Committee Meeting. Join us if you're interested in being part of the committee! Rogers Memorial Library Education Committee Meeting. Contact Judi Roth for details. Bridgehampton LWVH Blahs Luncheon. Let's hope the weather gods are kinder this year, because we all love this annual event. It brings together old friends, new acquaintances and a chance to shake those winter "blahs" by spending a warm, convivial afternoon together. Bring a check for $26. (includes tax & tip) payable to Bobby Van's for the luncheon. Contact Julia Kayser by 1/19 at 324-1498 or at kayjullee@aol.com or Pat Arceri at 631-267-3062 by January 14 so we know how many to expect. Southampton NY Special Events Committee. Riverhead NY LWVSC Board Meeting. Southampton Hospital Interview with Mr. Chaloner. Representatives from the LWVH Health Committee will interview Mr. Chaloner, CEO of Southanpton Hospital. 4 pm Panera's in Bridgehampton Special Events Committee. Bridgehampton NY Meet the Towns' Trustees. Representatives of the East Hampton and Southampton Trustees discuss their role, history and future plans. Sponsored by the LWVH Government Committee. 1:30 - 3:30 pm Panera in Hampton Bays Special Events Committee. Southampton NY 11968 School Mergers: what you should know. The panel includes NYS Assemblyman Fred Thiele; Heather McCallion, President of Southampton School Board; Chris Dyer, Superintendent of Tuckahoe Schools; and Dr. Julie Lutz, Chief Operating Officer of Eastern Suffolk BOCES. Also invited, NYS Senator Ken LaValle. LWVH Education Committee Chair Judi Roth will moderate. 1 to 2 pm Bridgehampton Library Membership Committee Meeting. Phone:(631) 594-3868 LWVH Spring Fundraiser-Luncheon with Gail Sheehy. Rescheduled for what we hope is a lovely spring day! Guest speaker and world-renowned author/journalist Gail Sheehy will discuss her newest memoir, "Daring: My Passages," engage in a Q&A and sign copies of her book. To RSVP, please send a check for $60, made out to LWV Hamptons, no later than Friday, April 17, to Gladys Remler, 180 Melody Court, Eastport, N.Y. 11941. Questions? Call Special Events Committee co-chairs Gladys at 631-288-9021 or Joanne Samborn at 631-283-9648. 12 noon Bridgehampton Library Voter Services Committee Meeting. 1:30 pm Bridgehampton Library Government Committee. 3:30 pm Bridgehampton Library Membership Committee Meeting. Corner of Herrick Rd. and Lewis St.
Limited parking so consider carpooling Public Info Meeting: Water, water everywhere...But is it safe to drink?. A panel of knowledgeable industry experts present fact-based information on alternatives available to East End residents. An added feature: a "blind taste test" of water. Rate them after sampling. Jack C. West, International Bottled Water Association & Drinking Water Research Foundation, on varieties of bottled water. Bridgehampton NY Meet the Anti-Bias Task Forces of Southampton & East Hampton. At this free public information meeting sponsored by the LWVH learn about the important work these citizen volunteers do to protect the rights of our fellow citizens. Panelists are James Banks, Chairperson and Susan Jennings, Co-Chairperson from Southampton ABTF and Edna Steck, Kim Jones and Rosa Scott from East Hampton. Refreshments served at 6:30, meeting begins at 7 pm. Amagansett LWV Suffolk County Board Retreat. Bridgehampton NY Board of Directors Meeting. Glorian Berk presiding. Members of public are welcome. 4 - 6 pm Home of Gladys Remler New Members Reception/Orientation. A great way for those who joined LWVH in 2014 or 2015 to get to know the committee heads and the board of directors. Who we are and what we do. Contact membership@lwvhamptons.org for info. List to be online and Facebook soon National Voter Registration Day. Are you registered to vote? If not, look for our tables for free Voter Registration Forms. Want to change party affiliation? Do it now, before the 2015 elections if you want to vote in the 2016 primaries. CANCELED Hampton Library Health Committee meeting. Bridgehampton LWVH Annual Holiday Party. Join us for an always-enjoyable get together. The League provides beverages, the Board provides the food, you provide the good company. But please, bring your check made out to the East Hampton Food Pantry or the Southampton Pantry so others can enjoy the holiday too! Southampton Education Committee meeting. Our invited guest will be Michael Guinan, Assistant Principal of Pierson High School. We will discuss our plans for doing Vote 18 in Pierson and Bridgehampton High Schools this winter. Quiogue Health Committee Tours New Facility. Read all about it in the January/February/March 2016 Voter, in your mailbox at the end of December. Main St. Bridgehampton NY PIM: Meet Your Town Supervisors. Jay Schneiderman, Southampton Town Supervisor and Larry Cantwell, East Hampton Town Supervisor discuss goals, challenges and events. Bridgehampton NY Membership Committee meeting. We have a mailing to get out. Come help us fold and stuff envelopes if you can. 4 pm Panera's in Bridgehampton Commons Natural Resources Committee meeting. Montauk Hwy. Bridgehampton Board of Directors meeting. 9 am Federal Courthouse in Islip Volunteers Register New Citizens as Voters. A great experience! Two months out of the year, LWVH volunteers go to the swearing-in of new citizens and make voter registration forms (and organ donor forms) available. Main St. Riverhead Suffolk Cty LWV Board Meeting. 12:30 pm - 2:30 pm Hampton Library Voter Services Committee Meeting. 1:30 pm Hampton Bays Panera Special Events Committee Meeting. 9 am Federal Courthouse in Islip Volunteers Register New Citizens as Voters. A great experience! Two months out of the year, LWVH volunteers go to the swearing-in of new citizens and make voter registration forms (and organ donor forms) available. Volunteers from the Hamptons made the trip every Tuesday in April. 4 pm Bridgehampton Library Government Committee Meeting. Topic: Single Payer Insurance for NY State. 70 Leland Lane Southampton, NY 11968 Debate among Candidates for Southampton School Board. Attention Southampton Residents: " Meet the Candidates" Night. Meet and hear from the candidates for the Board of Education. Five candidates debating. Two seats open on Southampton School Board. Conducted by LWVH. enter on Snake Hollow Rd. LWVH Regular Board meeting. all day Your customary polling place State and Local Primaries. If you registered with a party 14 months ago or more, don't forget to vote!! Bridgehampton NY Voter Services Committee. Firming up details for 9/27 National Voter Registration and the October debates. 2:30 - 3:30 pm Hampton Library Membership Committee meeting. Join us! We'd really love new members to help plan events like our Fall New Member Orientation. Southampton Community Picnic. Organized by Southampton Town Anti-Bias Taskforce. LWVH is a sponsor. We'll be there to distribute voter registration forms, absentee ballots and information. Bridgehampton NY PIM on Community Preservation Fund Proposition. Town Supervisors Schneiderman and Cantwell explain what the proposition on the November 8 ballot is all about. We'll tell you why LWVH supports voting "yes." Riverhead Suffolk County LWV Board meeting.